The Mara Triangle and Maasai Mara National Reserve are located in SW Kenya, west of Nairobi. 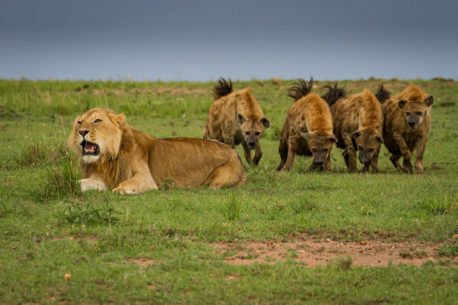 Hyenas challenging a nomadic male lion who wandered into their territory. Shot right after daybreak.